If you liked Twilight and Lord of the Rings, check out Seekers today! J.C. Kicia is a new Young Adult Author. 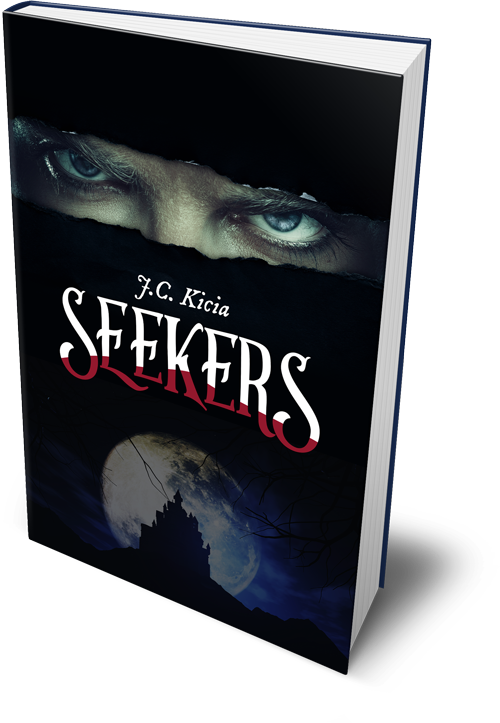 Seekers is one of her modern Vampire masterpieces that will take you on a mysterious journey as well as feed any literary adrenaline junkies appetite. The story boasts of action, romance, war and history with a final twist of modern day blood thirst. Satire and folklore bind this tale of crimson as it tickles the mind and soul of any inquisitive reader. Unlike the other Vampire stories before, Seekers is blessed with many “sister” plots and deep layers. You will be satiated after you sink your teeth into this book. Copyright ©2019 J.C. Kicia. All rights reserved.